Internet.org took a strategy wrong turn by solving the wrong problem at the wrong time. Their initial product focus has been on getting a mobile data offering at a $ 0 price point out in Emerging Markets. On first glance this makes sense, that if you made the minimum price 0 billions would just start using data. But in reality the gate keeping barrier is motivation. Creating excitement and awareness is super hard, creating demand on the fringe of tech adoption is beyond super hard. So before price is an issue the barrier is that users who dont use mobile data at all, do not know why they want or need mobile data. Dropping the price to 0 for a limited choice of 300 stripped down websites, is clearly not going to help motivate people to buy something they don't know or care about - mobile data plans. Also the rate of growth of Internet.org's android app or "Free Basics by Facebook" app shows that price alone is not sufficient to connect the masses. The observation is that the price reduction to FREE is meeting massive industry and regulatory push back. This is a huge problem for further growth of internet.org app. Don't take short cuts when shaping behaviors of hundreds of millions of people. Don't skip steps in the Technology Adoption Curve, when you are talking about fundamental tech paradigm shifts (before internet vs after internet is a HUGE shift). Don't take people from 0 internet mindset to a Samsung smartphone with mobile data and expect them to know why that is awesome, or why they should care. They will see the Samsung as a camera, voice calling , SMSing device. Because they can SEE the value at a glance in those 3 services. But they dont have a mental image for the value of "data" . 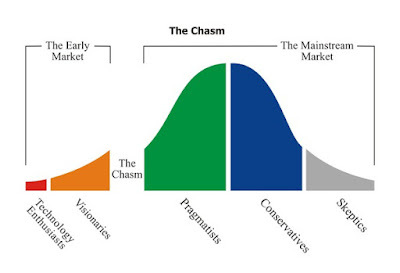 Cross the Chasm with internet adoption / mobile data plan adoption. Classical Tech Marketing wisdom from Geoffrey Moore's "Crossing the Chasm" dictates that Technology adoption is driven sequentially through a set of Psychographics and not Demographics. Facebook's early Internet.org product efforts are all focussed on Pragmatists and Conservatives psychographics by attacking the pricing problem. Optimizing Pricing helps only after users already have a desire to adopt the services / or content of the Free Basics app. The product design / go-to-market strategy of internet.org apps assumes that if you just lower the cost of mobile data access then magically millions will rush to hop on the internet. Basically from the side it appears that the thesis is: if you lower cost to 0 then there is no more Chasm. Admit mistakes / Consequences of driving price to 0 :Facebook's current approach of offering a limited stripped down set of mobile websites at a price point of zero, is getting MAJOR push back from huge telecom companies and governments. Because without a huge rise in newly connected users, driving down the price to zero over night is a suicidal proposition for these businesses and executives. So they are digging in and putting up a huge political and resource fight. Instead Focus on Creating Demand / Desire for Data experiences. Data cost is a big factor, but it is not the GATE KEEPING factor that is keeping people from going online. The GATE KEEPING factor is lack of motivation. A base level understanding of why should you care about internet is missing in billions of people. WHY is mobile internet cool ? People need an understanding of why mobile data is awesome to even consider it and think about price. 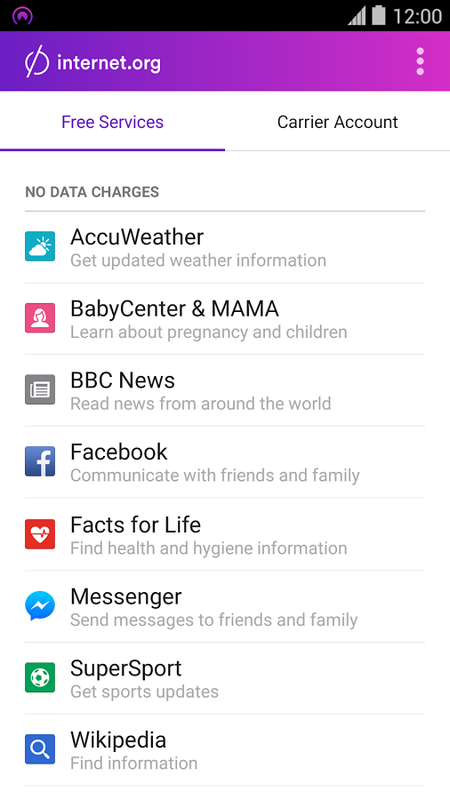 Free Basics app does not have a good enough content / desire value to motivate users to go for it . A list of 300 limited websites is simply not enough value. Instead focus on keeping the users that already use data happy . They will be the evangelists that cultivate awareness and the perception that having mobile data plans is cool across cultures, generations, languages, and various socio-economic levels. This is best done by an army of evangelists , face to face with your future customers. Disconnected people literally need a mental image of something you can get online through an app or a mobile website (e.g. weather, bus schedule, mobile payments, classifieds listing for a bike, games, etc) that is desirable to them. They literally need to daydream of screenshots, before they will have any real motivation to change their behavior or attitude towards a new piece of technology or service. To have these magical motivational mental screenshot images people need to be exposed to cool app experiences and mobile web experiences. Most likely they need to be exposed more than 8 times, before they will be interested in trying to obtain data driven app experiences for themselves. This exposure vector or exposure surface area really works via a face-to-face mechanism , through people to people conversations. Especially in places where connectivity penetration is low. Friends showing friends their android screen. People observing each other in cafe's . Billboards, radio, print ads in newspapers and physical venues help , but at a much lower efficacy rate then face to face evangelism of tech. At our core as Silicon Valley techies we all remember how in the 90's this was the case, and we know this to be true. Real tech adoption happens face to face through "geeks" that gleefully explain a cool new service, app, piece of hardware to their friends and family. And if the service is really helpful the word of mouth spreads. Focus on Helping newly connected users of mobile data enjoy it and afford more. They are the next wave of evangelists you need. Focus on users that are not at the very edge of connectivity but are already connected , and already Want MORE data but are struggling to afford it. Those are the evangelists and early adopters that will go out into African, Indian, Indonesian , and Bangaldeshi villagers and show their androids to their friends and family. Those are the users that will delight people with magical demoes of knowing the weather, streaming music, looking up train/ bus schedules. In order to convert more "first time" users, you need an army of evangelists. The bigger that army, the bigger the word of mouth factor, and the further the edge of connectivity will move into various remote pockets of the unconnected world. Limiting Choice is not effective, so offer Data savings on all apps and websites to insure choice . 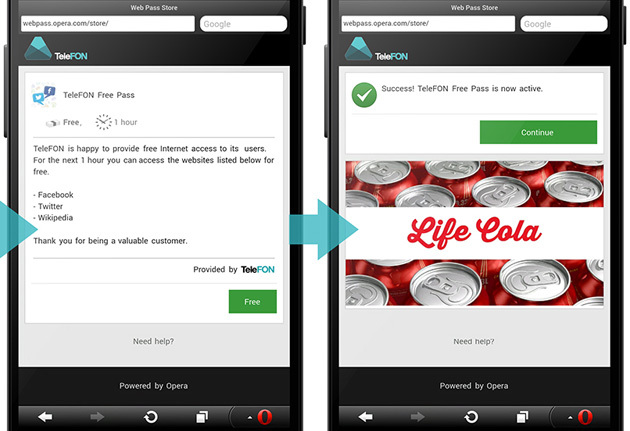 Opera Mini , data savings mobile web browser, offers very similar limited / striped down versions of mobile websites with 90% data savings for over 10 years now . 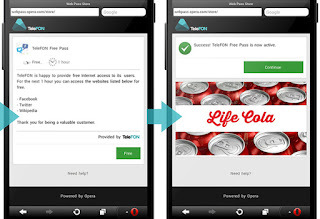 The difference is that Opera Mini Universally converts any website into a Mini website. That means the user can go anywhere on the web, and get any website at 10% of the data cost. The 10% cost , unlimited choice model has resulted in Opera Mini becoming the #1 web browser on African continent, Top 3 most used android app in India, and has had hundreds of millions of downloads and has hundreds of millions of monthly active users. 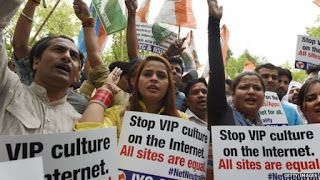 Internet.org's / Free Basics model of 0% cost to the user, but a limited choice of 300 striped down services FEELS like a second hand internet. This promotes feeling of shame , and FEELS not exciting. 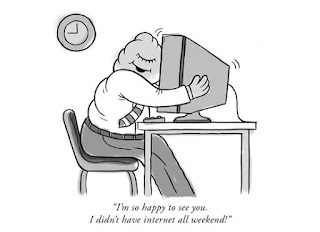 The boundless expanse of choice of where to go on the web is part of that inexplicable magic of the internet that is crucial for new users to experience for them to truly adopt a connected way of life. Making access cheaper , but only to striped down mobile web is not exciting enough. It has to be cheaper access for native apps and for mobile web. Facebook purchased Onavo, a startup, which had an early data savings app for android that provided data savings across apps and mobile web (although for images and text only, and did not provide savings for streaming video and audio). This was the right approach. However since facebook purchased the company, Onavo apps have hit a plateau in releasing new features, growing, or really being cared for. 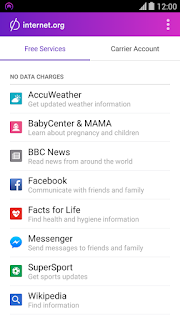 Opera Max, my app, is an android app that provides data savings across apps and mobile websites. It attempts to lower the cost of mobile data usage universally (although HTTPS and encryption being on the rise make certain apps not compatible with currently accepted data savings techniques) . Opera Max has the ability to provide data savings for text, images, streaming video, and streaming audio formats. There is not feeling of second hand interent or shame in using Max. 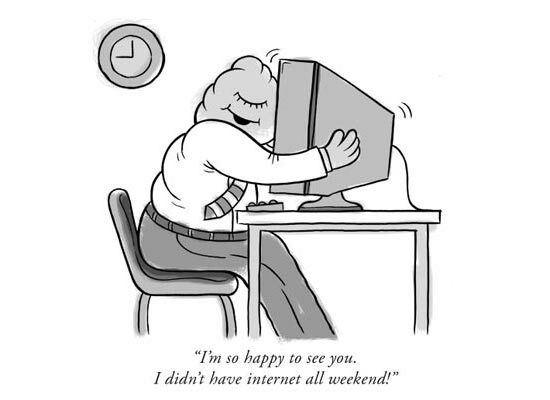 The feelings are of control and geekiness (exactly what appeals to the next generation of Emerging Market Early Adopters and tech influencers). Ads Should Be Part of the Product Mix. Transparency and trust building is key to bringing billions more online. Facebook's biggest issues is convincing goverments and telecom operators to trust them . Everyone suspects that facebook has financial / revenue motives from launching internet.org despite facebooks repeated protests that its sole mission is to help people go online and not revenue. To make the unit economics work for 3 - 4 Billion mobile data subscribers, we need something like the TV ad ecosystem model . In TV advertising underwrites the cost of wireless data transmission. At Opera we have done some early experiments around this. You can read about it here. The point here is that Ads will at some point need to be introduced to support the next several billion connected data plans. Making things free is not an option forever. Furthermore, as soon as ads are introduced the question of transparency and trust will fade away because the business model will be out on display for everyone to see. And in an ideal world the unit economics are managed in a way so that sustainable business models for the telecom operators and ISP's emerge. Big Picture you can imagine a series of steps. First start with empowering data savings of 30% - 70% for any apps... focus on accelerating millions of users from "new minimal data users " to become the rabidly excited mass of new tech geeks and evangelists that will go out and bring in the next wave of first time users online. This will in turn appease the industry and telecom companies in the big emerging markets, and then price should be brought down to zero with the use of ads as a way to pay for the costs. This is a better path to brining more people on line with their androids, then the current Free Basics offering. I work for Opera Software, which has been pioneering Data Savings tech for over a decade , and has been bringing people online and onto the open web since 1995. Opera mobile and desktop browsers and other apps reach over 350 million monthly active users around the globe. The vast majority of Opera users come from : India, Indonesia, Brazil, Nigeria, Bangladesh, and Russia (Big BRIC markets where most of the unconnected people live). I am the Product Manager for Opera Max, a leading Data Saver / Data Manager app for Android whose mission is to make mobile data more affordable for millions of people around the world. The views and thoughts expressed in this blogpost are 100% my own, and do not represent the view of Opera software. As a response to reading all of these articles and posts, and carefully following the plight of internet.org since before it launched, i am writing this post. 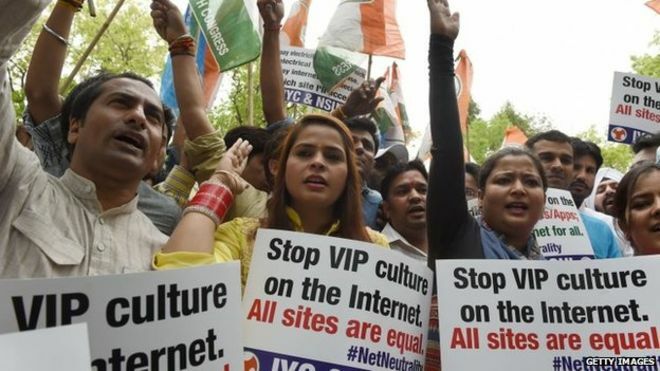 The goal was to analyze where internet.org went wrong, and understand why it is failing in places like india. 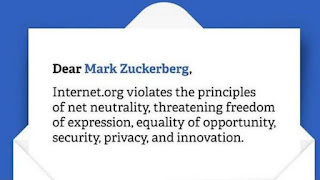 The core vision of internet.org is pure, the execution took a few wrong turns. But it seems fairly easily fixable. 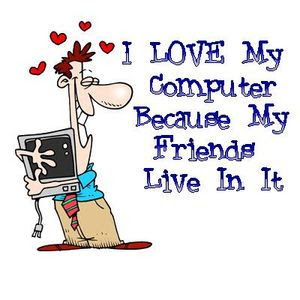 I also love my computer because this one is the main sources of income in my life. I love one more thing and that is Longboarding. I like longboarding on any downhill. Almost every mobile user with the smartphone in their hand always searches for new and faster ways to share data and files such as music and videos, because of having a busy life.